Today we are going to look at the biggest argument of all in the Ripper cases. WHO WAS JACK THE RIPPER?? Now practically everyone has their own favourite here and it does cause massive debates in forums across the web. So lets look at some of the suspects. A Polish Jew who worked as a hairdresser in Whitechapel at the time of the murders. He was committed to insane asylum in 1891. Written years (and discovered decades after the murders) documents were uncovered where high ranking police in the investigation name as a Polish Jew called “Kosminski”. An 1894 memorandum (discovered in 1959 written by Sir Melville Macnaghten (the Assistant Chief Constable) names one of the suspects as a Polish Jew called “Kosminski”. Inspector Donald Swanson (who led the Ripper investigation) hand wrote the name”Kosminski” in the margin of his presentation copy of Sir Robert Anderson’s (Assistant Commissioner) memoirs in the section where Anderson states Jack the Ripper was a “low-class Polish Jew”. In 1987, Ripperologist Martin Fido searched asylum records and found only one called Kosminski – Aaron Kosminski and at the time of the murders he lived in Whitechapel. He was admitted to the asylum with paranoid schizophrenic (and was said to hear “voices”and committed “self-abuse”), where he died in 1919. Kosminski was only incarcerated in 1891 but the murders ended 3 year previous and he is described as harmless in the asylum except for a few minor threats. He mainly spoke his his native Yiddish so his English probably wasn’t good and and would have been identified by the witnesses in the Ripper investigation. 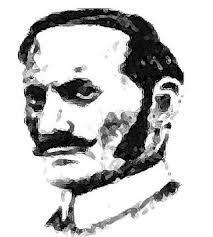 Another Polish Jew who’s a suspect in the Jack the Ripper murders was David Cohen. He was the same age as Kosminski, and Martin Fido suggested his true name was Nathan Kaminsky. It was changed in the asylum, as Kaminsky (or Kosminski) was easily confused or mispronounced. 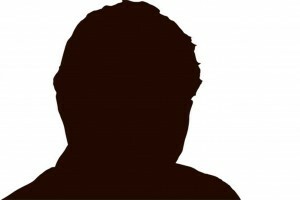 Perhaps police officials confused the name resulting in the wrong man coming under suspicion. An English born upper middle class barrister (and assistant schoolmaster) who committed suicide in Dec 1888. 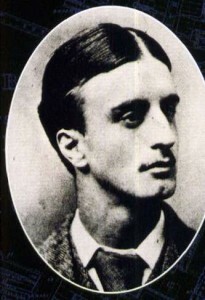 In February 1891, Henry Richard Farquharson (MP) said that Jack the Ripper was “the son of a surgeon” who had committed suicide on the night of the last murder. 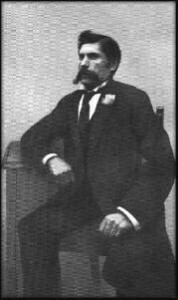 Macnaghten named Druitt as a suspect in the memorandum in 1894. Many have highlighted the coincidence between Druitt’s suicide shortly after the last of the five murders. 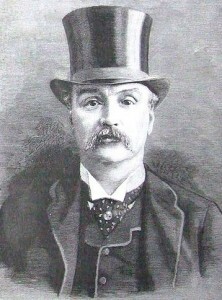 Macnaghten’s claims that Druitt’s own family believed him to have been the Ripper. He worked as a Assistant Schoolmaster at Valentines School until his dismissal at the end of November though it is unclear on the circumstances around his dismissal. Since he probably committed suicide around that time (when his body was found it was uncertain how long it had been in the water) it would seem likely that he killed himself in reaction to his dismissal. This could have been hearsay and passed down 3rd,4th or even 5th hand. There is no actual motive for Druitt either. Tumblety was an (Irish-born) American conman who earned his money posing as an doctor and selling fake medicines. His name was suggested by Inspector Littlechild (head of the Metropolitan Police’s Special Irish Branch). Littlechild told a journalist that Tumblety was a likely suspect. He stated that Tumblety had been arrested for “unnatural offences,” that he had jumped bail and escaped the country. Littlechild went onto say that Tumblety had go on to commit suicide and the murders had stopped after that. Col. C. S. Dunham said he had been at a party where Tumblety fiercely denounce “…all women and especially fallen women.” and that Tumblety had took guests to his office where he showed them a dozen or more jars containing the uteri of every class of women. Though Littlechild was a high ranking Police Officer he had very little to do with the Jack the Ripper investigation itself . Tumblety had indeed been arrested and charged with acts of gross indecency however this was for homosexual acts (as homosexuality was illegal at the time). Also Tumblety did not commit suicide he made his way to New York where he was watched by the New York police (who did not feel he had any Ripper connection). There is no real evidence to the claim he collected female organs. Dunham is a known con artist and he only told this information after the suggestion Tumblety was a suspect. It would also be highly unusual for a homosexual serial killer to prey on women. He was a Polish born (as Seweryn Antonowicz Kłosowski) but moved to England where he was convicted and executed after poisoning three women (aka the Borough Poisoner). The main evidence against him is the fact he is a known killer and is known to be violent towards women (especially his wives). Also he arrived in England just before the first murder and stopped when he left for America. Firstly is that when he just arrived in England he spoke very poor English and this would make it difficult for him to get strangers to come with him. Secondly being new to the area, he would not have the local knowledge of the area that the killer appeared to have. Thirdly it would be highly unusual for a serial killer to change methods of killer as drastically as from mutilation to poisoning. Ostrog was a Russian born petty criminal who spent his life in and out of prison or on the run from the law (mainly for fraud and theft). The Macnaghten memorandum of 1894 also mentions Ostrog as a suspect. He claims Ostrog was a detained in the asylum as a homicidal lunatic and his whereabouts during the murders can’t be proven. Despite him spending most of his life as a criminal he was not known to be violent. In fact he was more of a confidence trickster than a murderer. Yes he was admitted to the asylum a number of times but the police at the time believed this to be an act in order to avoid prison. Also whilst in there he was only ever considered a danger to himself not others. The final nail in the coffin of the Ostrog theory is that it has been found that he was incarcerated in France during the murders so is defiantly not the Ripper. A Polish Jew who was incarcerated in the asylum after the murders. Possible also known as Nathan Kaminsky (a boot-maker from Whitechapel). Martin Fido suggests that the Polish Jew named by Macnaghten and Swanson was actually Kaminsky (rather than Kosminski). Fido theorised that his name was changed on entry to the asylum to David Cohen as they didn’t know his identity. In March 1888 Kaminsky was diagnosed with syphilis in the Whitechapel Workhouse Infirmary. But after his release in May 1888 (and supposed cure) he is untraceable. In December 1888 a Polish Jew was found wandering the streets speaking only Yiddish and (as he didn’t seem to be looking after himself) was to be sent (by the Police) to the workhouse. He became violent and was detained in the infirmary where as he wouldn’t give any information was named David Cohen. He was later committed to the asylum where he is described as very violent and had to be restrained often. He died in October 1889 in the asylum. The connection from Kaminsky to Kosminski is circumstantial at best and the link to David Cohen is quite a big one. Even if you accept it all as fact – there is still no connection to the murders. Born in Preston, England Kelly was admitted to Broadmoor after murdering his wife but escaped in 1888 only to readmit himself in 1927 (the police could not find him in-between). Having a history of irrational and violent mood swings Kelly stabs his wife in the neck and digs the knife in. He is arrested but she dies of her wounds. He is tried and pleads insanity but he is found guilty and sentenced to death. However he is later found to be insane and is admitted to Broadmoor. In January 1888 he escapes (using a key he makes himself) and goes on the run. He had contracted venereal disease from using prostitutes and before he stabbed his wife he accused her of being a prostitute and infecting him. There is no evidence he that he killed his wife because he thought she was a prostitute and infected him, more this was just part of his rage ramblings. Also he was most likely treated and cured of his venereal disease whilst in Broadmoor. There is no evidence that he was in London in the Autumn of 1888 – he may not have been anywhere near Whitechapel. Why if he was the Ripper did he stop killing but didn’t hand himself in until 1927? Also he wasn’t considered by the original investigation as a suspect. Maybrick was a Liverpool (England) cotton merchant who was murdered by his wife using poison. The Diary of Jack the Ripper!! This was “discovered” in 1992 and even though the diarist doesn’t name himself is clearly meant to be Maybrick. The diary describes the murders in great detail and Maybrick’s motive for the murders. Also a pocket watch was uncovered in 1993. The watch has “J. Maybrick” scratched on the inside cover, also the words “I am Jack” and the initials of the five ripper victims. Until the diary was put forward Maybrick was never even suggested as a suspect. If he was the Ripper he didn’t register with the original investigation at all. The diary does detail the facts of the murders but these facts were publicly known at the time the diary emerged. Tests on both the diary and the watch are contradictory with some saying they are genuine and some claiming fake. The general consensus is the diary is a forgery even if it was written many decades ago. It does appear too good to be true – the Ripper confesses in a diary!!! There are over 100 suspects put forward to be the Ripper, I have just listed the most popular here. So, it’s up to you……who do you think?